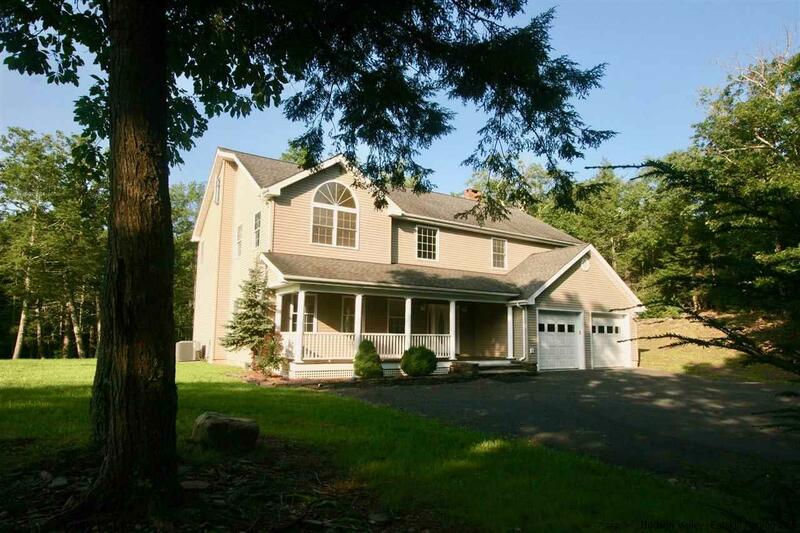 Welcome home to this elegant 4 bedroom, 3.5 bath stick built custom colonial with an intelligent layout in a private, secluded and pin drop quiet setting on a woodsy dead end road. 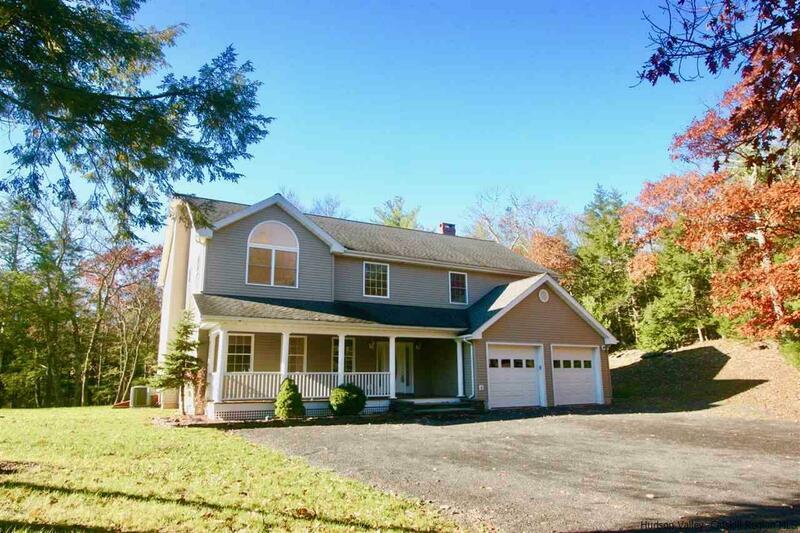 Massive eat in gourmet kitchen spills into a gorgeous vaulted living room with locally quarried bluestone floor, wood burning stove and French doors that open to an expansive back deck overlooking 5 acres of pristine Catskill forest and a spring fed pond. 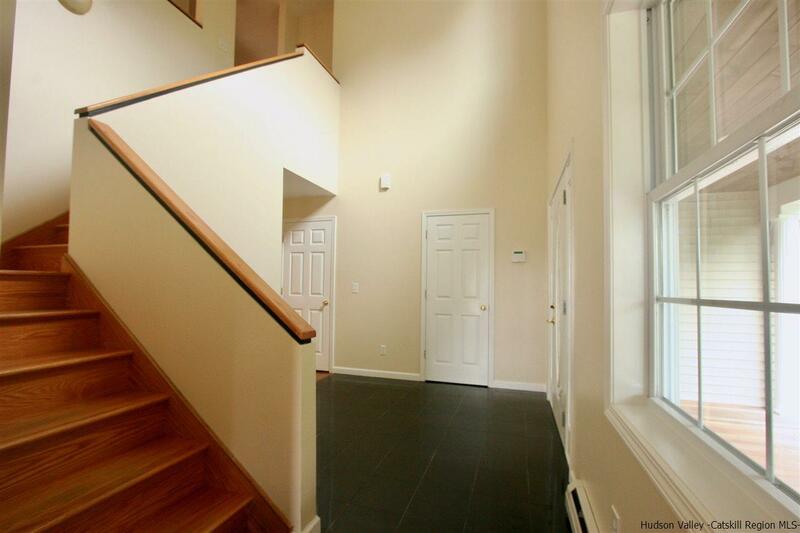 Dramatic vaulted entryway invites you into this generously proportioned, meticulously maintained home with hardwood and ceramic tile floors and fresh paint throughout. Master bedroom with jet tub and shower, walk in closet and vaulted ceiling. convenient ensuite guest room and two other bedrooms on the second level overlooking the living room. Long winding driveway adds to the privacy and over sized 2 car garage for convenience in this premium home. 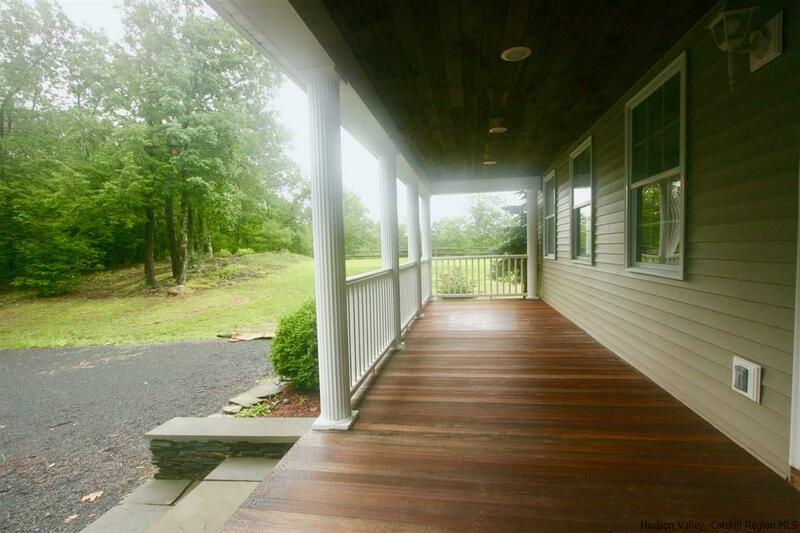 Conveniently located a short drive from NYS Thruway, Saugerties Village, Woodstock, Hunter Mountain, Lazy Swan Golf Club, Total Tennis, Horse Shows in the Sun and a myriad of local swimming holes, hiking trails, fishing and hunting. Listing # 20183645 provided courtesy of Nadina Truini of Win Morrison Realty.